Built in 1894, by the then owner of the Woolpack Inn, who bankrupted himself before completion, using Edinburgh grey granite and (some) of our local pink granite; his plan was to use this as overflow accommodation for the Inn, although there is some doubt as to the authenticity of this information. As the House has no “original features” – cornicing, ceiling roses – we would assume that he never intended living here. 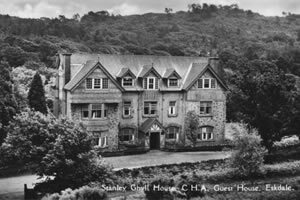 After this, the House became Stanley Ghyll Hotel, we believe to house some of the mine workers working in Boot and the upper Esk valley; the railway was also by that time in use as a tourist attraction of some sort. We are not sure how long the House was a hotel, but it subsequently became the CHA or the Christian (Church) Housing (Hostel) Association – this was to holiday under privileged children, and workhouse children. 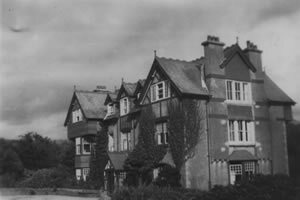 Some time later the CHA became Countrywide Holiday Association, catering for people who wanted to stay for whole weeks at a time on full board (lunch being “packed” and eaten on the hoof), enjoy daily guided walks, but who didn’t mind being packed into dormitories and have a shared bathroom. All this used to cost £120 per person for the whole week. The business went bust, with the last residents being served breakfast on Bank Holiday Monday in August 1999. The building was left empty – save for the local wildlife – until February 2002, when a property developer-type person bought it and started to convert the building into what it is today. He lasted until February 2003. 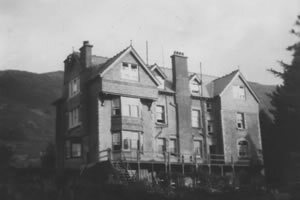 The then previous owners Gary and Susan Howard purchased Stanley Ghyll – by this time renamed Beckfoot; they, along with massive help from Gary’s parents – transformed the building and started the bed & breakfast business. Sadly, and for personal reasons, they decided to sell in mid-2008. We bought the business in September 2008, having driven past the House for ten years. We used the B&B as overflow from our near-eight years as owners of the Boot Inn. Over the Winter of 2008/9, we extensively refurbished the building, insulating where necessary, partly re-roofing, rebuilding, decorating and refurnishing most of the rooms. We have also tried to make the building as environmentally friendly as possible. Thanks to a grant from the Department of Energy and Climate Change, we installed a log burning biomass boiler in 2009 which now produces all the heat and hot water for the business.